Chair of the New Arts Journalism program, Dushko Petrovich was recently interviewed by Artsy for an article focusing on artists who also work as professors. Petrovich, who launched Adjunct Commuter Weekly, a publication intended for educators traveling between teaching jobs, told Artsy that having many teaching jobs at different schools in different locations has become a common part of how working artists make a living. 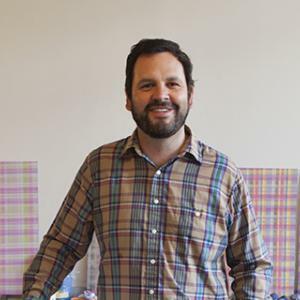 Petrovich told Artsy that he started teaching as an adjunct at Boston University as a teaching fellow and eventually began teaching as an adjunct at Yale, New York University, and Rhode Island School of Design. For some artists, working as an adjunct allows time to focus on their studio work as well as teaching. For others, it can be stressful and represent a commitment of time that takes away from an artist’s own practice. Artsy reported that of the 271,000 workers who reported holding secondary jobs as artists, almost 21 percent identified as teachers in their primary jobs. “I would rather have a full-time position,” Petrovich told Artsy. “I like teaching and running a department, and the financial stability gives me a lot of freedom, which I cherish, in my own work.” Petrovich currently teaches the New Arts Journalism thesis seminar course for graduate students.